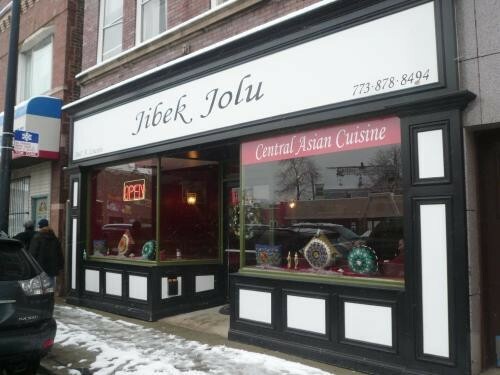 "Don't expect the food in Kyrgyzstan to be the highlight of your trip," reads the back of the menu at the Jibek Jolu, the brand new Kyrgyzstani restaurant in Lincoln Square that some eagle eye on LTHForum spotted a mere three days after its opening last week. The humility is endearing, but I think the folks at Jibek Jolu are selling their product short. 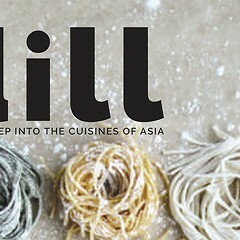 The food from countries along the former Silk Road is pretty special, reflecting a synthesis of cuisines from eastern Europe, China, Persia, Turkey, and beyond. 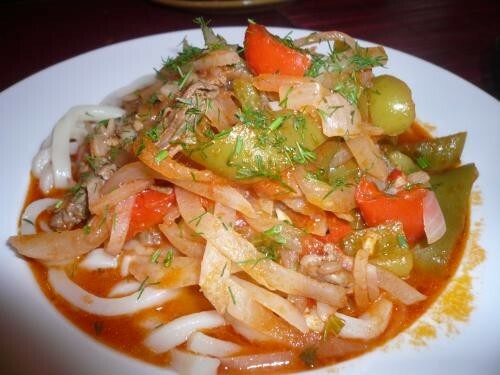 You can find representative dishes at a handful of Russian restaurants around town, but as far as I know this is the only place within city limits strictly devoted to Central Asian food. The only other one in the region I can think of is Buffalo Grove's Uzbeki teahouse, Chaihanna. Not everything on the menu is available yet. The owners, a family by the name of Bilimbekov, are still ramping up. What you'll find now: house-made beef dumplings such as manty and pelmeni, lamb- and potato-stuffed hand pies known as samsy, deep bowls of bright red borscht, lamby shorpa, house-baked lepeshka bread, and lagman, a soupy, garlicky bowl of noodles topped with lamb, daikon, banana peppers, and tomatoes. Lots of lamb, lots of beef—and everything can be amped up with a mix of white vinegar and garlicky chilli paste called lazy. It's open from 9 to midnight, and Marat Bilimbekov tells me they're still working on three to four breakfast dishes. Bilimbekov guesses there are only about 50 people from Kyrgyzstan living in Chicago, so the restaurant's mission is missionary: "We are not expecting to make a lot of money. It's just for people to try our food."